For over 100 years, the Russell Sage Foundation has been a leading resource for the advancement of research in the social sciences. 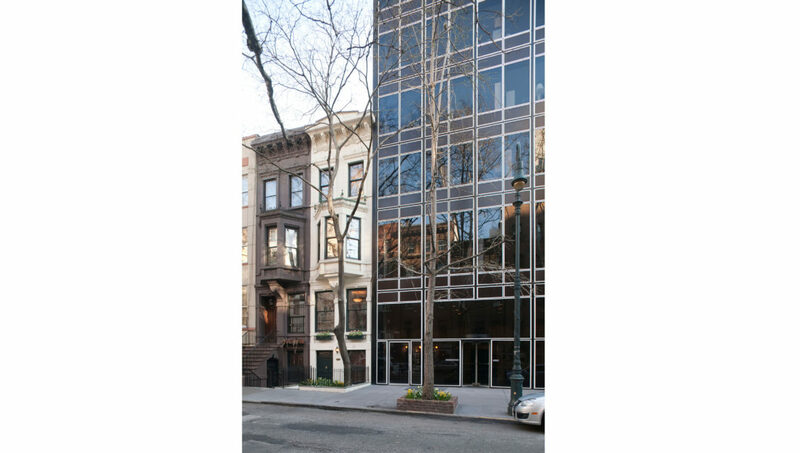 Their most recent headquarters, a classic 1960 Philip Johnson building, eventually became too small for the steadily growing number of programs and scholars supported by the Foundation, requiring them to expand into an adjacent Victorian brownstone. 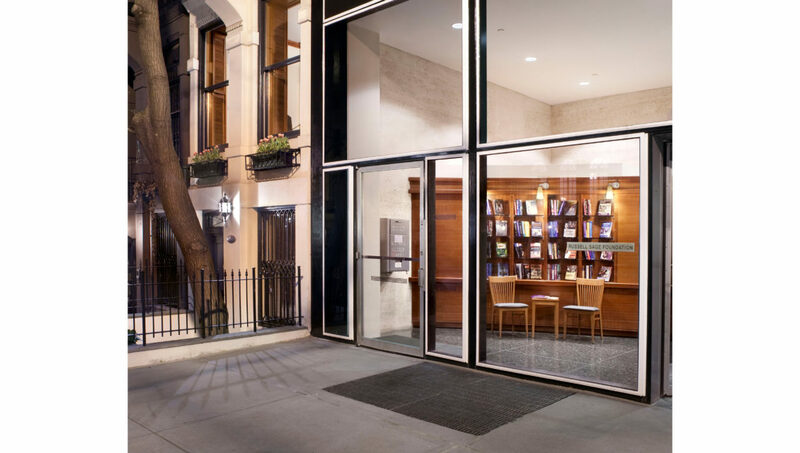 Fradkin & McAlpin developed a plan to seamlessly join the two buildings, creating a warm, comfortable interior atmosphere to support the nature of the Foundation’s academic work. A single-story addition to the brownstone gave them a new conference and seminar room, while keeping the original walled garden. 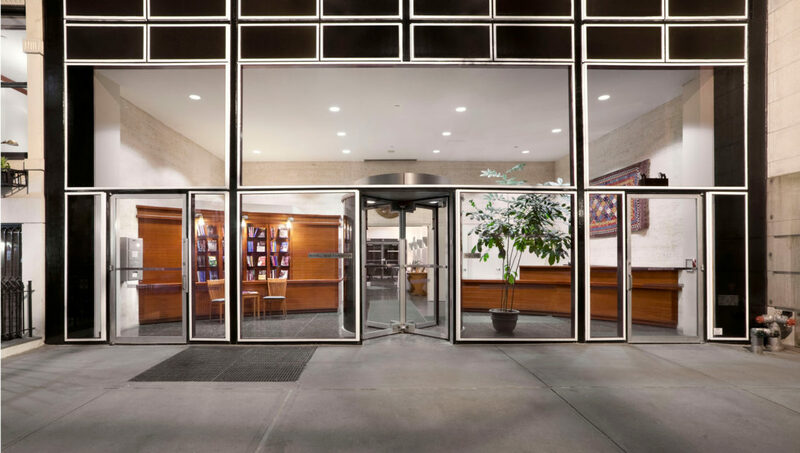 The main entrance in the Johnson building was returned to its original modernist style, while new cherrywood reception millwork illustrates the warmth of the internal scholastic endeavors and welcomes guests through the glass of the modernist façade.